Is Rep. Rahall doing all he can for coal miners? March 4, 2011 by Ken Ward Jr.
Folks who follow the work of my friend Rep. Nick J. Rahall, D.W.Va., got an interesting juxtaposition yesterday. I am dead set against the EPA’s plowing ahead on its own with new regulations to limit greenhouse gases. You’ve come under a little criticism here in the latest reports that have been released, but I think you responded very adequately to the chairman’s questions. Not for nothing, but we also didn’t see Rep. Rahall bothering to ask Main to explain why MSHA is blocking the release — both to the public and an independent investigation team — of key documents about the Upper Big Branch Mine’s ventilation problems. March 3, 2011 by Ken Ward Jr.
Nearly 2 months after that horrific explosion, I am perplexed— let me spell that—P-E-R-P-L-E-X-E-D—perplexed as to how such a tragedy on such a scale could happen, given the significant increases in funding and in manpower for the MSHA that have been provided by this subcommittee. Congress has authorized the most aggressive miner protection laws in the history of the world—history of the universe. But, such laws aren’t worth a dime if the enforcement agency is not vigorous about demanding safety in the mines. These laws are also jeopardized when the miners themselves are not incorporated into the heart of the inspection and enforcement process, as Congress intended for them to be. Now’s the time—long past the time—to cast off the fears, the cronyism, and other encumbrances that have shackled coal miners and MSHA in the past. Assistant Secretary Main and his team at the MSHA still have much to explain regarding this tragedy at Upper Big Branch that happened on their watch their watch. I don’t believe it was because of a lack of funding. I don’t believe that MSHA lacked—L-A-C-KE-D—lacked enforcement authorities. I don’t believe that. Well, the House Committee on Education and the Workforce just completed its morning hearing called Examining Recent Regulatory and Enforcement Actions of the Mine Safety and Health Administration. It was really quite a spectacle of partisan politics, and it hardly was about examining recent regulatory and enforcement actions by MSHA. The Democrats had their agenda: Use the hearing to promote the idea that more legislation is needed to protect the nation’s coal miners. And the Republicans had their agenda: Argue against such legislation. Both sides were lined up and ready to go, with prepared questions aimed more at making their pre-conceived points, as opposed to using the hearing to actually gain information about what MSHA is — and isn’t — doing to protect the health and safety of the hard-working miners who dig the coal that powers our country. Oddly, it was the Republicans who seized on my story in this morning’s Gazette about a previously secret audit that found numerous failings by MSHA to do the jobs already given to it by the federal Mine Act. It’s pretty damning, when you look at it. You’ve mentioned that MSHA was using every tool at your disposal, and you’ve asked here now for more legislation to give you more tools, yet it seems looking at this story the failure is not at having the right tools in the toolbox, but in the people using all the tools in the toolbox. The House Education and Workforce Committee (I had almost forgotten “Labor” was no longer part of the name) has already posted MSHA chief Joe Main’s prepared testimony for today’s mine safety hearing online, and they’ve also posted a prepared statement from the subcommittee’s ranking Democrat, Rep. Lynn Woolsey, D-Calif. The hearing is titled Examining Recent Regulatory and Enforcement Actions of the Mine Safety and Health Administration and the Web cast for it will be starting here soon, at about 10 a.m. When I testified in July, there was little I could tell you about what caused the explosion at Upper Big Branch. In the intervening months, we have learned a tremendous amount. Based on the evidence that the team has gathered to date, it appears that a low volume of methane and/or methane fuel from natural gas provided the fuel for the initial ignition on or near the face of the tailgate side of the longwall shearer, or cutting machine. Small methane ignitions are not uncommon in coal mines, but when proper safety measures are followed, these ignitions are generally controlled or extinguished by proper ventilation and safety equipment on the longwall shearer, such as mining bits and water sprayers. The evidence to date shows, however, that at Upper Big Branch, the small ignition was not contained or quickly extinguished. The analysis also indicates that a small methane ignition transitioned into a massive explosion, fueled by an accumulation of coal dust that propagated the blast. While the investigation is not complete, and it is likely to be several months before MSHA is able to issue a report, we do know already that explosions in mines are preventable. Most importantly, we know that a workplace culture, which puts health and safety first, will save lives and prevent tragedy. March 2, 2011 by Ken Ward Jr.
MSHA chief Joe Main is scheduled to testify tomorrow before a House Labor subcommittee, to discuss and answer questions about his agency’s recent efforts to protect the nation’s miners. We’ll have to wait and see what Main has to say now that Republicans are in control of the House. But it seems likely that MSHA’s efforts to improve the “pattern of violations” process will be part of the discussion. Readers no doubt recall the failure of MSHA to put the Upper Big Branch Mine on a pattern of violations, despite repeated safety problems prior to last year’s disaster. And of course — as so clearly spelled out by a Labor Department Inspector General’s report last September — MSHA has never successfully put any coal mine anywhere in the country on a formal “POV” status. Of course, we also know that MSHA curtailed key parts of the POV program, citing resource problems, while not telling lawmakers that it needed more money for its efforts. Then-House Labor Chairman George Miller, D-Calif., asked the IG to take a closer look at how coal operators responded after receiving POV “warning letters” from MSHA. Remember that the existing MSHA policy had used these letters to give mine operators a chance to improve and avoid being put on a formal pattern and facing the increased sanctions that would involve. The question really, though, was whether these operators “fell off the wagon” once they got out from under a POV warning letter. Our analysis showed that 94 percent of mines successfully met MSHA’s improvement metrics after one complete inspection period, but the success rate gradually declined in subsequent periods. After eight inspection periods, the percentage of mines meeting MSHA’s improvement metrics had decreased to 79 percent. Under the POV procedures in place during 2007-2009, mine operators had to meet one of two improvement metrics: (1) reduce the rate of S&S citations and orders at the mine by at least 30 percent, or (2) reduce the rate of S&S citations and orders at the mine to at least the national average for similar mines. In most cases, MSHA’s first improvement standard (30 percent reduction in S&S rate) was the lower standard for potential POV mines to meet. So meeting MSHA’s two-pronged improvement metric was generally dependent on meeting the 30 percent reduction in S&S rate. Strengthening this first standard (i.e., requiring a reduction of more than 30 percent in the rate of S&S violations), results in a gradual decrease in the percent of mines that successfully meet the overall improvement metrics. At the 30 percent S&S reduction rate required by MSHA during 2007-2009, 79 percent of potential POV mines meet the standard after eight inspection periods. If the standard required a 40 percent S&S reduction rate, the percentage of potential POV mines meeting the standard after eight inspection periods declines to 76. At a 50 percent required S&S reduction rate, 69 percent of potential POV mines would meet the standards after eight inspection periods. Increasing the rate above 50 percent appears to have little additional impact, as the percentage of mines meeting the standard after eight inspection periods remains at 69. Furthermore, requiring a reduction level greater than 70 percent would have no further impact on success rates. Beyond the 70 percent level, the second metric (reduction of S&S rate to the national average for similar mines) becomes the deciding standard. The average improvement (reduction) in the rate of S&S violations declined when evaluated over eight subsequent inspection periods. Mines receiving a potential POV notification from MSHA reduced their rate of S&S violations by an average of 63 percent after one subsequent inspection period. After the eighth inspection period, the average reduction rate was 51 percent. Underground mines reduced their rate of S&S violations by an average of 62 percent after one subsequent inspection period; the average reduction rate was 51 percent after the eighth inspection period. Surface mines and facilities reduced their rate of S&S violations by an average of 67 percent after one subsequent inspection period; the average reduction rate after the eighth inspection period was 58 percent. 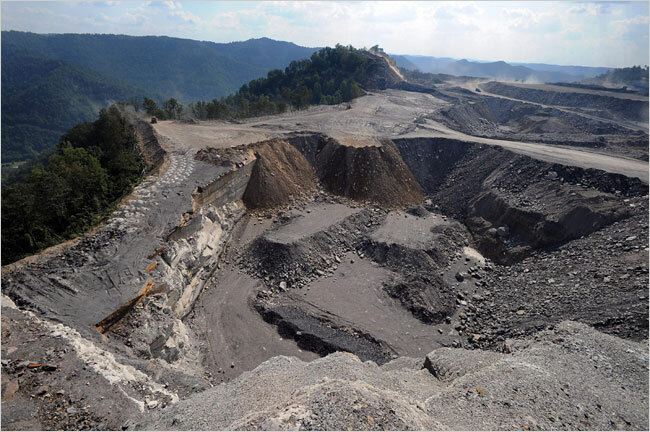 The Robert C. Byrd Miner Safety and Health Act of 2010 would have required mine operators to maintain their improved performance for one year in order for MSHA to terminate a POV order. As mentioned earlier, I was out for a few days, allowing me to miss all the fun in Washington, D.C., with the Republican House budget legislation and its various riders to block environmental initiatives of the Obama administration (see here and here for general summaries, focused mostly on the greenhouse gas rules). — Defunding EPA’s water quality guidance — An amendment numbered 109 printed in the Congressional Record to prohibit use of funds to the EPA, the Corps of Engineers, or the Office of Surface Mining Reclamation and Enforcement may be used to carry out, implement, administer, or enforce any policy or procedure set forth in the memorandum issued by the EPA. See roll call vote here. — Prohibiting EPA from vetoing fill permits — An amendment numbered 216 printed in the Congressional Record to prohibit the use of funds used by the Administrator of the EPA to carry out section 404(c) of the Federal Water Pollution Control Act. See roll call vote here. — Stopping OSMRE’s stream protection rule — An amendment numbered 498 printed in the Congressional Record to prohibit the use of funds to be used to develop, carry out, implement, or otherwise enforce proposed regulations published June 18, 2010 (75 Fed. Reg. 34,667) by the Office of Surface Mining Reclamation and Enforcement of the Department of the Interior. See roll call vote here. — Defunding EPA’s effort to regulate toxic coal ash — An amendment numbered 217 printed in the Congressional Record to prohibit the use of funds by EPA to develop, propose, finalize, implement, administer, or enforce any regulation that identifies or lists fossil fuel combustion waste as hazardous waste subject to regulation. See roll call vote here. All four of these amendments passed and were part of the government funding resolution that the full House approved. The whole bill faces an uncertain future in the Senate and a veto threat from the White House. 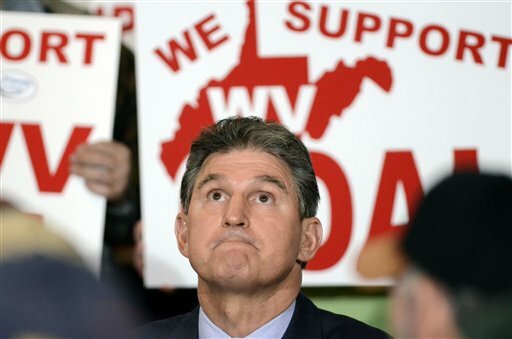 February 16, 2011 by Ken Ward Jr.
We had some fun two weeks ago asking the question, Does Sen. Manchin really think coal doesn’t get ‘a penny of subsidies’? The coal industry stands to lose nearly $2.6 billion in federal tax incentives over the next decade as part of the Obama administration’s proposed fiscal 2012 budget released Monday. The administration’s proposal is identical to coal incentives cut in its budget last year. The White House is aiming to meet a G-20 climate change agreement from 2009 in which member countries pledged to phase out fossil fuel subsidies. Repealing the tax provisions would “foster the development of a clean-energy economy and reduce our dependence on fossil fuels that contribute to climate change,” the administration said in its budget message. The tax incentives equal less than 1% of the coal industry’s revenue over the next 10 years, according to White House projections. February 15, 2011 by Ken Ward Jr.
Republicans in the House are hoping to derail some of the Obama administration’s initiatives regarding the coal industry by attaching “riders” to a government funding bill that is being debated this week on the House floor. One proposed amendment by Rep. Cliff Stearns, R-Fla., would block EPA from using any funds it receives to regulate coal ash as a hazardous waste. Another, by Rep. Morgan Griffin, R-Va., would prohibit EPA from using its budget to perform tougher reviews of mountaintop removal Clean Water Act permits or enforcing new water quality guidance for those permits. A third, by Rep. David McKinley, R-W.Va., would keep EPA from using any funds to veto Clean Water Act permits, as it did the Spruce Mine here in West Virginia. There may be more riders coming, but these are the ones I’ve seen so far … stay tuned. February 9, 2011 by Ken Ward Jr.
I’m still watching the House Commerce and Energy Committee hearing on efforts to block action on global warming, and finally they got around to giving Rep. David McKinley, R-W.Va., a chance to ask questions. We’ve seen before that Rep. McKinley doesn’t have a very firm grasp on the state of the science about global warming. 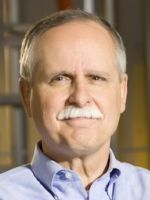 Rep. McKinley continued that today, peppering EPA Administrator Lisa P. Jackson with questions about Hal Lewis, a minor physicist who apparently resigned from a professional organization over his misguided belief that global warming isn’t real. But in his zeal to relate the hearing of the day — the Energy Tax Prevention Act — to his own legislation to help out the coal industry, Rep. McKinley couldn’t quite get his facts right about the Spruce Mine. 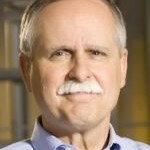 I’m not sure where Rep. McKinley gets his information about this subject, but the data that Arch Coal reports to the U.S. Mine Safety and Health Administration indicates that, the Spruce Mine at the end of 2010 employed 34 workers. At some point in the future, if the entire mine were to go forward, Arch Coal has said it might employ 250 workers … But the permit veto did not, as Rep. McKinley said, put 250 people out of work. How do such overstatements further a rational debate about coal policies? 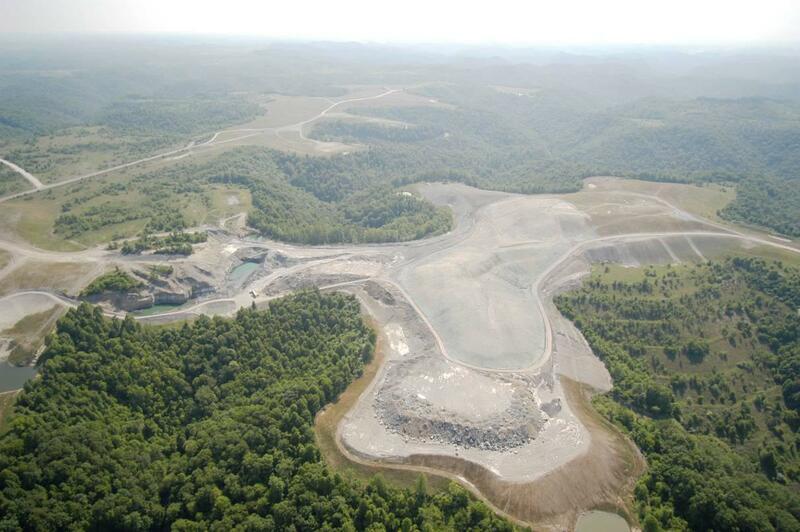 We’ve written before here on Coal Tattoo about how facts don’t seem to matter when it comes to the Spruce Mine discussion, and Cindy Rank of the West Virginia Highlands Conservancy has an interesting commentary here about myths regarding the EPA veto. January 20, 2011 by Ken Ward Jr.
Investigators found a widespread failure to comply with mandatory rock dusting standards necessary to prevent coal dust explosions and dysfunctional safety equipment necessary to reduce methane and coal dust ignitions at the longwall mining machine. MSHA’s preliminary findings indicate that this mine was managed in a reckless manner and in utter disregard of mandatory safety standards. 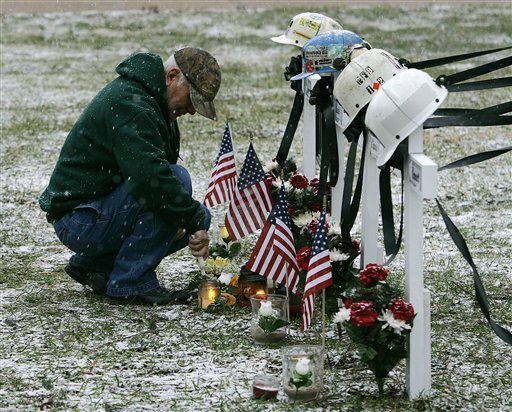 In the year prior to the April 2010 explosion, Massey Energy’s Upper Big Branch mine was cited 515 times and ordered to shut down operations on 52 separate occasions – an average of once per week. 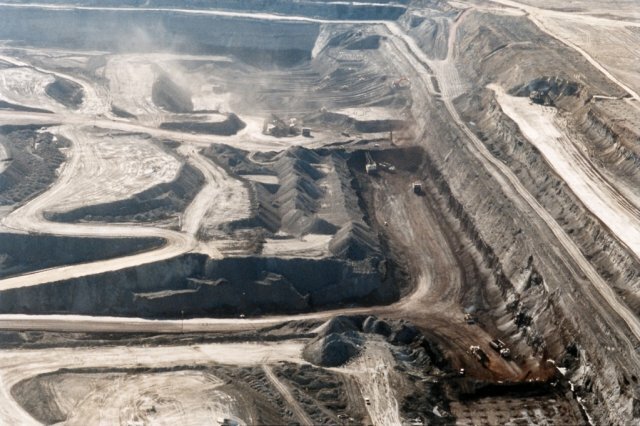 However, because of shortcomings in the law, mine operators have an incentive to appeal citations in order to avoid tougher scrutiny, such as the ‘pattern of violations’ sanction. Legislation proposed last year by Rep. Miller, the Robert C. Byrd Mine Safety Protection Act, would give the Mine Safety and Health Administration powerful new tools to keep miners safe and hold mine operators accountable for putting their workers in danger. December 8, 2010 by Ken Ward Jr.
Republicans in the U.S. House of Representatives just blocked efforts by Democratic leaders to resurrect a major mine safety reform bill before the end of the year and the GOP takeover of the House in 2011. 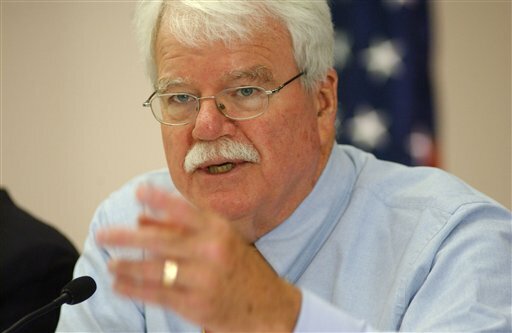 House Labor Chairman George Miller, D-Calif., had sought to suspend House rules and bring the pass the Robert C. Byrd Mine Safety Protection Act. to the floor for a vote. The vote was 214 to 193, with 26 members not voting, well short of the two-thirds needed for the rules suspension. According to the official roll call vote, only one Republican voted to bring up the bill. West Virginia Democrat Nick Rahall voted in favor, while Republican Shelley Moore Capito voted against. Democrat Alan Mollohan, who lost his re-election bid, did not vote. Recently, the mining industry has been under attack by the Administration and the Environmental Protection Agency (EPA). Policies like cap-and-trade directly threaten the livelihood of the coal industry, while the EPA’s decision to stall and even repeal approved mining permits throughout Appalachia has led to a slow bleed of jobs in our state. Look for some potential action later today in the U.S. House of Representatives on the Robert C. Byrd Mine Safety Protection Act of 2010, the major mine safety reform package that has already passed the House Education and Labor Committee. The legislation is listed on this House floor schedule issued by the office of House Majority Leader Steny Hoyer, D-Md., and one story making the rounds is that a substitute bill will be offered on the floor that strips out OSHA language to make it strictly a mine safety bill. 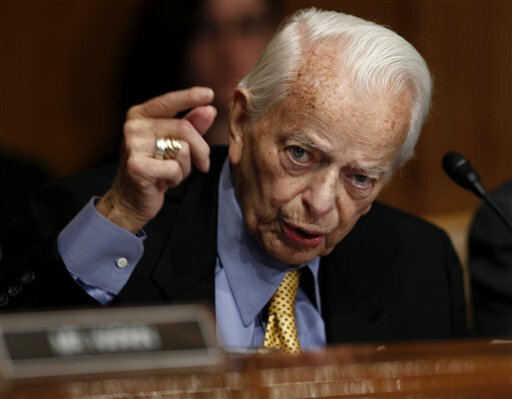 Already, the U.S. Chamber of Commerce and the National Association of Manufacturers are warning lawmakers that they would consider votes on this bill for inclusion in their congressional report cards, and are calling on lawmakers to oppose not only the bill but any procedural efforts to bring it to a vote in the first place. UPDATED: Here’s a summary of the legislation that is expected to be voted on today. 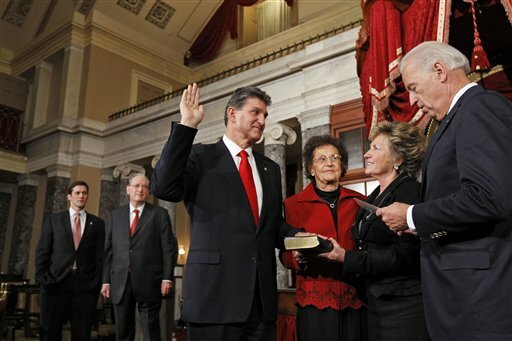 November 16, 2010 by Ken Ward Jr.
Sen. Joe Manchin said Tuesday that Democratic leadership has promised federal cap-and-trade legislation — which he famously shot with a rifle in a campaign ad — is dead. In a teleconference with West Virginia reporters the day after his swearing-in, the former governor said he met with Senate Democratic Leader Harry Reid of Nevada on Monday for a “heart-to-heart” about coal and other energy issues. Manchin, who was elected to fill the unexpired term of the late Sen. Robert C. Byrd, assumed the office Monday as state Senate President Earl Ray Tomblin became West Virginia’s acting governor. What happened to the House panel’s investigation of Massey Energy’s Upper Big Branch Mine Disaster? 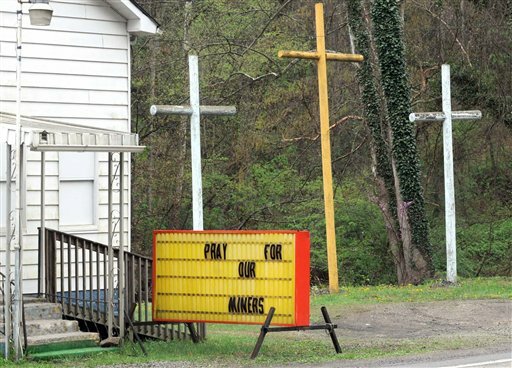 Back in May, among the flurry of responses to the deaths of 29 coal miners in the Upper Big Branch Mine Disaster, the U.S. House of Representatives granted its Committee on Education and Labor the authority to subpoena witnesses for private depositions for a broad investigation of mine safety issues. Now that the Republicans have taken back the House, I wondered what would become of this investigation — what would happen to any records obtained or the transcripts of any depositions taken … I wondered if Miller’s capable and respected staff would have time to publish any sort of report on their findings. Well, a committee spokesman told me he didn’t have any information on this. Keep in mind that Miller has already pushed through his committee a major piece of mine safety legislation and he played a central role in requesting that detailed Inspector General’s report that blasted MSHA’s enforcement — or lack thereof — of the “pattern of violations” provisions of the mine safety act. And not so long ago, Miller’s committee produced a remarkable report on the Crandall Canyon Mine Disaster and recommended criminal prosecution of those responsible for the deaths at that Murray Energy mine in Utah. So, it seems like the public would have a great interest in learning what the committee has uncovered about Upper Big Branch or about other mine safety issues … perhaps we’ll learn a little bit later this year, when committee staff is required to provide the House Rules Committee with a report on their activities. But it’s hard to say. The House resolution requires only that the report include the number of depositions taken and the names of those interviewed — but only if the committee has previously made those names public. 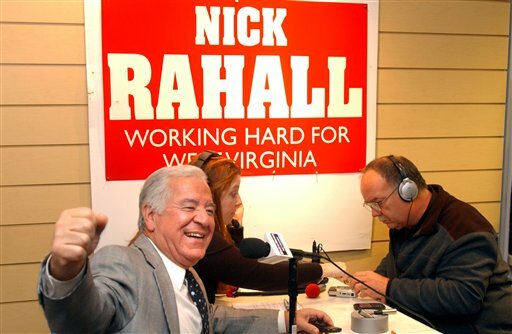 What path will Rep. Nick J. Rahall take now? November 4, 2010 by Ken Ward Jr.
Well, the coal industry threw quite a lot at Rep. Nick Rahall this time around. They’ve gone after Rep. Rahall before, but when the totals are in, the money spent — and the rhetoric and racial slurs tossed about — will probably end up easily topping past efforts at unseating the Democrat from his seat representing Southern West Virginia in Congress. The last numbers I saw showed Rahall easily defeating Don Blankenship’s friend Spike Maynard, Rahall got 55 percent of the vote to Maynard’s 45 percent. He won 14 of the district’s 17 counties. He cruised in major coal counties like Boone, Logan and Mingo, getting more than 60 percent of the vote in each. Of course, along the way, Rahall staked out a position that was way to the far edge of the pro-coal, protect-the-industry-at-all-costs side of mining issues, attacking the Obama administration and bashing the U.S. Environmental Protection Agency at every turn. Rahall and some of his supporters — primarily the United Mine Workers — tried to use Maynard’s relationship with Blankenship against the Republican candidate. But you really didn’t hear Rahall even talking too terribly much about coal-mine safety issues or what another GOP vote in Congress might do to the U.S. Mine Safety and Health Administration’s efforts to crack down on repeat violators of mine safety and health rules or end black lung disease. You were more likely to hear Rep. Rahall bragging that he personally was keeping legislation bottled up that would have ended mountaintop removal coal mining, or threatening to block any funding for EPA’s efforts to reduce coal-mining pollution that scientists believe is causing pervasive and irreversible damage to the environment in the Appalachian coalfields. This, of course, is the thing that leaves many folks who might otherwise support him holding their noses when they vote for Nick Rahall. Generally, most progressives would be his natural constituency. In Washington, Rep. Rahall has among the best voting records on environmental issues and his expertise on the Middle East makes him one of the leading voices for a reasonable U.S. foreign policy there. But back home, Rahall has now made himself among the Faces of Coal — among the faces of those who support mountaintop removal. He barely admits its downsides, and — perhaps worse — the fact that regardless of any federal rules or regulations, its days may be numbered. Now, it wasn’t so terribly long ago that Congressman Rahall wasn’t on this bandwagon. When we published our original Mining the Mountains articles back in 1998 (see here and here), Rahall offered among the most harsh criticisms of the lax regulation of mountaintop removal by state and federal authorities. September 29, 2010 by Ken Ward Jr.
After yesterday’s speeches by West Virginia Democratic Sens. Jay Rockefeller and Carte Goodwin, Wyoming Republican Michael Enzi — the ranking GOP member of the Senate Labor Committee — blocked immediate passage by the Senate of the latest mine safety reform bill. Sen. Rockefeller had sought to have the Senate approve the bill by unanimous consent. A companion bill in the House has been approved by that body’s Labor Committee, but hasn’t been brought to the floor yet. As my colleagues well know, negotiations had been making significant progress until we ran into a stumbling block known as the election cycle. The staffs of seven Senators had been meeting several times a aweek for over 2 months and all throughout the recess period. Agreements had been formed on over a dozen important proposals, and several more important ones were right on the brink of compromise when the talks were abruptly called off until after the election. Despite what has been said in the press and on this floor, the simple fact is that we might well have had an agreement by now if the majority hadn’t decided that they would rather have an election issue. Certainly, it is not for me to consult on the political calculations of my colleagues. but it seems to me that political theater and failing to work together to get important things like this done are exactly what the American people are so frustrated by this year. August 4, 2010 by Ken Ward Jr. The Black Thunder Strip Mine, one of the largest coal mines in the United States. Photo: Plains Justice. Yesterday was the 33rd anniversary of the day President Jimmy Carter signed into law the Surface Mining Control and Reclamation Act, the federal law that governs strip mining. OSM has taken the lead in finding innovative ways to regulate coal production, reclaim abandoned and inactive coal mines, explore new technologies, and provide technical assistance to its state and tribal regulatory partners. As OSM positions itself to fulfill SMCRA’s promise of a cleaner environment and safer communities, its goal is to do so collaboratively, with its state and tribal partners, as well as its sister federal agencies. While we reflect on what we have accomplished under SMCRA, we realize there is still work to be done – and that work has begun. “The White House and Secretary Salazar refused to even think about improving environmental enforcement at the Minerals Management Service until an oil company’s terrible performance killed people and damaged our wetlands, Gulf Coast fisheries and beaches,” said Erickson. “Irresponsible coal mining companies have already killed people, poisoned rivers, destroyed families’ homes, left communities without drinking water, and caused devastating floods. 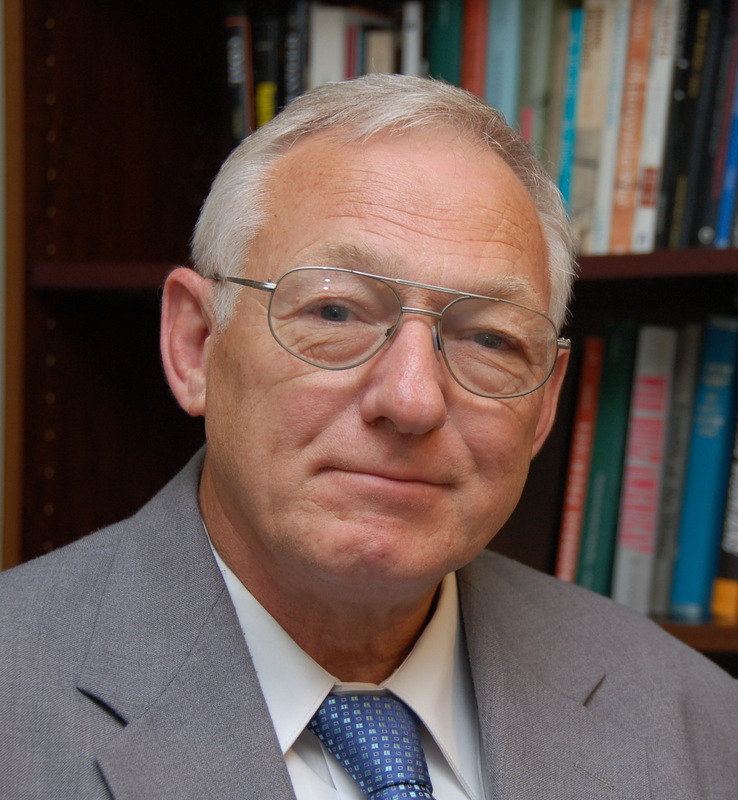 But the White House and Secretary Salazar have created a regulatory environment that lets the most irresponsible companies violate federal and state laws with impunity,” Erickson continued. Senators Jay Rockefeller and Carte Goodwin (both D-W.Va.) today unveiled mine safety legislation to honor the fallen miners at Upper Big Branch and to promote a culture of safety in mining and other industries. Senator Rockefeller previously joined Senate Health, Education, Labor and Pensions (HELP) Committee Chairman Tom Harkin in unveiling a draft proposal in June. Similar legislation has been introduced in the House of Representatives by Congressman Nick Rahall and House Education and Labor Chairman George Miller. The bill is posted here, with a legislative summary here. Recall that the House Education and Labor Committee passed its version of a mine safety bill last week. I’ve fought my entire career to make sure that hard working Americans can go to jobs without fearing for their safety and I will not stop until this is a reality. Before his death, Senator Byrd and I worked together to develop the beginnings of this workplace safety legislation—which includes significant improvements for our coal mines. Even as the investigation into the Upper Big Branch mine continues to move forward, we owe it to the families, and to the miners that still get up and go to work each day, to find real solutions—fixing the process for safety enforcement at mines with repeated violations, providing MSHA with strong safety tools and holding them more accountable, and protecting our dedicated miners who speak up when they know safety measures aren’t being handled correctly. As a lifelong West Virginian, I know how much coal mining means to our state and how important it is that our miners have a safe workplace. We were all devastated by the disasters that occurred at the Sago and Upper Big Branch mines. From my role in helping our state enhance its mine safety laws after the Sago accident, I know that Senator Rockefeller and the late Senator Byrd have worked tirelessly to create legislation to tighten safety standards and to make sure that our federal agencies have the resources necessary to the enforce mine safety laws currently in place. I am proud to take my experience on this issue and continue to fight for appropriate measures that will make sure that our miners operate in a safe work environment. 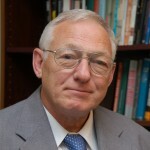 July 26, 2010 by Ken Ward Jr.
Blankenship contributed $4,800 to Elliott “Spike” Maynard, the Democrat-turned-Republican running in the 3rd U.S. House District, during the three-month reporting period that ended June 30. Rep. Nick Rahall, the 3rd District’s Democratic incumbent, meanwhile has nearly 14 times the cash on hand as GOP challenger Spike Maynard. Seeking an 18th term, Rahall sported a $1.58 million balance — more than all the state’s other congressional candidates combined — to Maynard’s $114,500. Rahall also outraised Maynard during the filing period, $174,600 to $133,700. Of course, Maynard wants to make this election all about his love of coal, without having anybody wondering whether that love also extends to believing that coal miners have a right to a healthy and safe place to work. Coal Tattoo readers know that Maynard made light of the idea that the deaths of miners Don Bragg and Ellery Hatfield could have been avoided if Massey had ensured that its Aracoma Alma No. 1 Mine in Logan County simply followed well-established safety rules back in 2006. One wonders if Maynard noticed that Massey’s Aracoma Coal Co. pleaded guilty to a criminal charge that prosecutors said led to the deaths, or if he’s noticed the additional guilty pleas in recent weeks by Massey mine managers at Aracoma. Climate bill dead … is coal to blame? 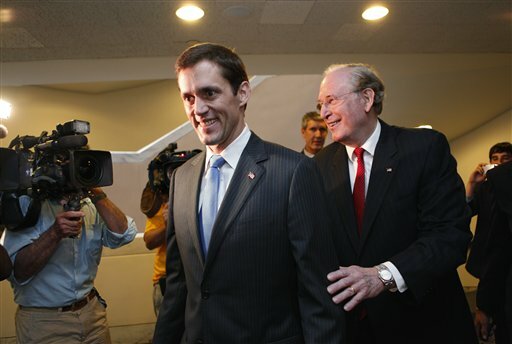 July 23, 2010 by Ken Ward Jr.
West Virginia Senator Jay Rockefeller has gotten his wish … his fellow Democrats have killed off any plans to try to get a comprehensive climate change and energy package through Congress this year. There’s plenty of media coverage out there, from The New York Times to the BBC, from the Guardian to Politco. But the failure to confront global warming – central not only to Obama’s presidency but to the planet itself – is not the Senate’s alone. Rather than press forward with a climate bill in the Senate last summer, after the House had passed landmark legislation to curb carbon pollution, the administration repeated many of the same mistakes it made in pushing for health care reform. 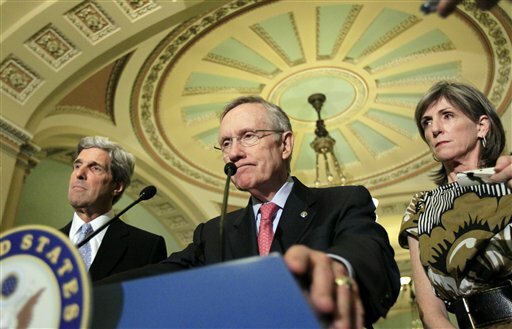 It refused to lay out its own plan, allowing the Senate to bicker endlessly over the details. It pursued a “stealth strategy” of backroom negotiations, supporting huge new subsidies to win over big polluters. It allowed opponents to use scare phrases like “cap and tax” to hijack public debate. And most galling of all, it has failed to use the gravest environmental disaster in the nation’s history to push through a climate bill – to argue that fossil-fuel polluters should pay for the damage they are doing to the atmosphere, just as BP will be forced to pay for the damage it has done to the Gulf. What about coal? Well, we just last week had the sad spectacle of new Sen. Carte Goodwin — before he was even sworn in — practically jumping across the podium to join in the coal industry attacks on climate legislation. And we’ve watched as Sen. Rockefeller has gone from supporting comprehensive climate legislation in 2003 to voting last month in favor of a resolution that would have rejected the broad scientific consensus about the dangers of global warming. Rockefeller’s actions on this issue have become increasingly bizarre — from spouting incorrect and outdated data on the Senate floor and adopting ridiculous industry slogans as his own, to proposing CCS-promoting legislation despite a GAO report (requested by his co-sponsor) that said the bill wouldn’t work.